Baseball is one of America’s greatest pastimes, with teams all across the country gathering together and working hard for the love of the game. The right baseball fundraiser can make a huge difference in the quality of the overall experience for every member of the team and their families. The right baseball fundraiser can mean new uniforms, better equipment, covered expenses for away games or championships and even less out of pocket expense for individual players. Sometimes, the biggest hurdle is finding a baseball fundraiser that works, garnering participation from teams and families and bringing in worthwhile funds for the cause. That’s where our fundraising program comes in! Here at Good Clean Fundraising, we pride ourselves on providing a new and truly unique baseball fundraiser developed around what matters most to you, saving money for your family and friends while making money for your favorite team. How do we do it? We offer a high-quality, American-made liquid laundry detergent sold in five (5) gallon buckets, which cuts costs and allows for wholesale pricing. This special per bucket price for your baseball fundraiser is a compelling reason for supporters to stock up, at up to fifty percent savings per ounce over department store buys. 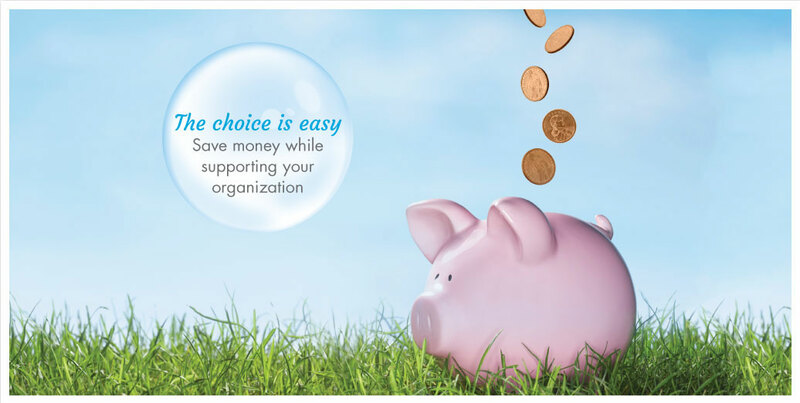 A Good Clean Fundraiser means supporter savings and vital money for your baseball team. Who could ask for more? When you partner with Good Clean Fundraising for your next campaign, you’ll enjoy a truly different approach to fundraising – a difference that we believe is our biggest strength. Just how are we different? At Good Clean Fundraising, we understand that family, friends and co-workers truly do want to support you and your team; however, they shouldn’t have to purchase items they don’t need at several times the retail price to do so! That’s why, at Good Clean Fundraising, we designed a baseball fundraiser that doesn’t involve candy, candles, magazines or knick knacks that will gather dust. With our premium five gallon buckets of laundry detergent, you are providing them with a value-priced necessity – something they are going to buy anyway, at a drastically reduced price. Good Clean Fundraising makes sense for you, and for your supporters. This makes it easier for them to feel good about saying yes, and leads to higher volume sales for your team. Our liquid laundry detergent campaign also returns a greater portion of the profit margin to your team than many other fundraisers, meaning more money for what really matters. Good Clean Fundraising is not only different – we’re better than many fundraising programs in many ways! When you approach someone about purchasing liquid laundry detergent for your baseball fundraiser, you can rest easy knowing it is something that almost everyone will buy in the next few days one way or another. Instead of a luxury item that isn’t needed and costs too much, it’s a necessity item for nearly every household. And, for families in your school or organization, the savings offered with the five gallon bucket can really add up! At roughly $45.00 a bucket, the breakdown cost is a mere $.07/ounce. When you consider that consumers spend, on average, anywhere from $.13 to $.15 per ounce when buying in smaller bottles, the savings for friends and family participating in the band fundraiser can easily be up to fifty percent. Your baseball fundraiser can help everyone hit a home run with Good Clean Fundraising! Of course, your baseball team will most enjoy our higher profit margins, meaning more money per dollar sold compared to many programs. When you earn a larger percent of every sale, you’ll make more money faster! There truly is no limit to the funds your baseball fundraiser can bring in for the team. With a little hard work, small groups can easily expect to make $5,000 or more, while some of our larger groups have enjoyed profits of more than $25,000 in under a month. When you partner with Good Clean Fundraising, you can set your team fundraising goals with confidence! The players will also have access to our array of great resources and fundraiser support. We’ll provide an order form customized with your team’s logo and information, which encourages participation and gets everyone excited. Good Clean Fundraising also assists your team in the creation of a successful social networking campaign that will boost sales and spread the word in the community. Throughout the campaign, we will provide tips and tricks for encouraging participation, selling effectively and even final distribution. With a product that makes sense and complete selling support, it’s time to take your team to the next level. Start Your Baseball Fundraiser Today! When you team up with Good Clean Fundraising for your baseball fundraiser, there’s nothing holding you back. It’s easy to get started right away making money and hitting goals. Our knowledgeable, friendly staff will provide information and answer questions to help you kick off your fundraising campaign. 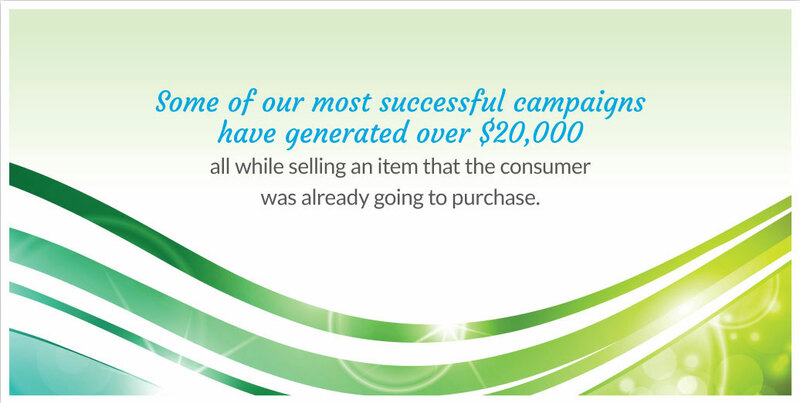 Call Good Clean Fundraising today and learn more about how we can help you meet your fundraising goals! Great Baseball Fundraiser Idea - Best Fundraising Program for Baseball Teams Baseball is a bat-and-ball game played between two teams of nine players who take turns batting and fielding. The offense attempts to score runs by hitting a ball thrown by the pitcher with a bat and moving counter-clockwise around a series of four bases: first, second, third and home plate. A run is scored when the runner advances around the bases and returns to home plate. Players on the batting team take turns hitting against the pitcher of the fielding team, which tries to prevent runs by getting hitters out in any of several ways. A player on the batting team can stop at any of the bases and later advance on a teammate's hit or other means. The teams switch between batting and fielding whenever the fielding team records three outs. One turn at bat for both teams, beginning with the visiting team, constitutes an inning, and nine innings a game. The team with the greater number of runs at the end of the game wins. Evolving from older bat-and-ball games, an early form of baseball was being played in England by the mid-18th century. This game was brought by immigrants to North America, where the modern version developed. By the late 19th century, baseball was widely recognized as the national sport of the United States. Baseball is now popular in North America and parts of Central and South America and the Caribbean, East Asia and Europe. In the United States and Canada, professional Major League Baseball (MLB) teams are divided into the National League (NL) and American League (AL), each with three divisions: East, West, and Central. The major league champion is determined by playoffs that culminate in the World Series. The top level of play is similarly split in Japan between the Central League and Pacific Leagues and in Cuba between the West League and East League. Many non-profit organizations receive some annual funding from a financial endowment, which is a sum of money that is invested to generate an annual return. Although endowments may be created when a sizable gift is received from an individual or family, often as directed in a will upon the death of a family member, they more typically are the result of many gifts over time from a variety of sources. Non-profit organizations also raise funds through competing for grant funding. Grants are offered by governmental units and private foundations/ charitable trusts to non-profit organizations for the benefit of all parties to the transaction. A capital campaign is when fundraising is conducted to raise major sums for a building or endowment, and generally keep such funds separate from operating funds. These campaigns encourage donors to give more than they would normally give and tap donors, especially corporations and foundations who would not otherwise give. A capital campaign normally begins with a private phase before launching a public appeal. Great Baseball Fundraiser Idea - Best Fundraising Program for Baseball Teams Charitable giving by corporations is estimated to be $15.29 billion in 2010. This consists of corporate grants as well as matching gift and volunteer grants. 65% of Fortune 500 companies offer employee matching gift programs and 40% offer volunteer grant programs. These are charitable giving programs setup by corporations in which the company matches donations made by employees to eligible nonprofit organizations or provides grants to eligible nonprofit organizations as way to recognize and promote employee volunteerism. Special events are another method of raising funds. These range from formal dinners to benefit concerts to walkathons. Events are used to increase visibility and support for an organization as well as raising funds. Events can feature activities for the group such as speakers, a dance, an outing or entertainment, to encourage group participation and giving. Events can also include fundraising methods such as a raffle or charity auction. Events often feature notable sponsors or honoree. Events often feature a charity "ad book" as a program guide for the event, but more importantly, as another fundraiser providing members, supporters and vendors to show their support of and to the group at the event by way of placing an ad-like page, 1/2 page, 1/4 page, stating or showing support. Events and their associated fundraisers can be a major source of a group’s revenue, visibility and donor relations. While fundraising often involves the donation of money as an out-right gift, money may also be generated by selling a product of some kind, also known as product fundraising. Girl Scouts of the USA is well known for selling cookies in order to generate funds. It is also common to see on-line impulse sales links to be accompanied by statements that a proportion of proceeds will be directed to a particular charitable foundation. Tax law may require differentiating between the costs of an item verses its gift value, such as a $100.00 per person dinner, for a $25.00 cost meal. Fundraising often involves recognition to the donor, such as naming rights or adding donors to an honor roll or other general recognition. Charity Ad Books are another form of donation for recognition, sponsorship or selling of ads often in an event related program or group directory. When goods or professional services are donated to an organization rather than cash, this is called an in-kind gift. A number of charities and non-profit organizations are increasingly using the internet as a means to raise funds; this practice is referred to as online fundraising. For example, the NSPCC operates a search engine which generates funds via Pay per click links, and Better the World operates tools allowing funds to be raised via members viewing ethical ads on a browser sidebar and/or blog widget. Save the Children's Dave Hartman wrote after the $1 Million Operation Sharecraft online campaign, "We may have reached our mark, but this is just the beginning of a new era of fundraising and using social media and digital technology to better the world." Great Baseball Fundraising Program - Best Fundraiser Idea for Baseball Teams Some of the most substantial fundraising efforts in the United States are conducted by colleges and universities. Commonly the fundraising, or "development" / "advancement," program makes a distinction between annual fund appeals and major campaigns. Most institutions use professional development officers to conduct superior fundraising appeals for both the entire institution or individual colleges and departments. Examples of this include athletics and libraries. The donor base (often called a file) for higher education includes alumni, parents, friends, private foundations, and corporations. Gifts of appreciated property are important components of such efforts because the tax advantage they confer on the donor encourages larger gifts. The process of soliciting appreciated assets is called planned giving. The classic development program at institutions of higher learning include prospect identification, prospect research and verification of the prospect's viability, cultivation, solicitation, and finally stewardship, the latter being the process of keeping donors informed about how past support has been used.